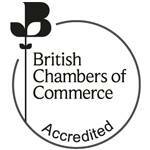 The Herefordshire & Worcestershire Chamber of Commerce is one of 53 accredited Chamber across the UK. We work to provide a respected voice to the business community as well as making sure their views are heard at government level. The Chamber has been named as the 46th Best-Not-for-Profit Organisations to Work for in its first year of application. In addition to this accolade, the Chamber has also received a 1-Star accreditation from Best Companies, which is a significant achievement for businesses as it shows that the organisation has “very good” levels of workplace engagement. This award also extends to the support that the Chamber offers to its Members, recognising the hard-work each department puts in to provide the best level of guidance to the business community. We are proud to have been awarded ‘Chamber of the Year’ at the national British Chambers of Commerce’s annual Chamber Awards 2013 on 28th November 2013. Mike Ashton, former CEO said: “This is excellent news for us and has come following an accumulation of 6 years of hard work building a Chamber of Commerce which truly looks after its members. I would like to thank all of the staff for their hard work, the Board for their support and the members and businesses of Herefordshire and Worcestershire for both their support and drive to ensure that we provide the support they need. We are accredited to the Investors in People standard, which is the benchmark of good people management practice. 16% of UK employers are accredited with Investors in People. Our attainment of Gold Accreditation recognises our commitment and investment to people management excellence. Our ISO 9001 certification shows commitment to quality, customers, and a willingness to work towards improving efficiency. ISO 9001 is the internationally recognised standard for the quality management of businesses. It applies to the processes that create and control the products and services an organisation supplies, and prescribes systematic control of activities to ensure that the needs and expectations of customers are met. Proud to have been awarded the Disability Confident Employer accreditation, which aims to help employers remove barriers, increase understanding and ensure that disabled people have the opportunities to fulfill their potential and realise their aspirations. Proud to have achieved a Level 2 accreditation of the Worcestershire Works Well scheme, which enables local businesses to improve the health and well-being of their work force. The Good Recruitment Campaign helps organisations benchmark their current recruitment methods and reinvigorate their strategies in order to attract the right candidate. The Chamber is excited to be part of this initiative which is led by a collaboration of businesses that are continuously working towards improving the performance of their organisation. Cyber Essentials is a UK government information assurance scheme operated by the National Cyber Security Centre (NCSC) that encourages organisations to adopt good practice in information security. It includes an assurance framework and a simple set of security controls to protect information from threats coming from the internet. Cyber Essentials aims to help organisations implement basic levels of protection against cyber attack, demonstrating to their customers that they take cyber security seriously.